1. For my STEP Signature Project, I participated in an education abroad trip to Cuba. 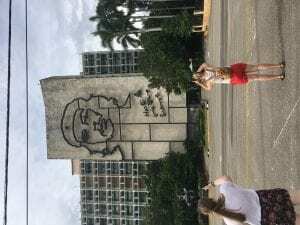 We toured Havana for 10 days, visiting different museums and cultural hubs with a special focus on the Afro-Cuban history and influence. 2. Beginning this journey, I knew very little about Cuba, its history, or culture. The American education system lead me to believe that it was a hostile, communist country that disapproved of Americans and everything related to the United States. What I learned was quite different. They have as rich a culture as any other country with a lot of African and Spanish influence. This experience has created further doubt, for me, in the American education system and has made me wonder how much more censorship is occurring in everyday classrooms. I also learned that I am quite capable of conducting myself in a foreign country with little trouble besides that of a language barrier; this has given me a new sense of confidence when I hope to travel next. 3. The main aspect of this trip that has lead to this new sense of confidence was the interactions that took place between students, lecturers, performers, and locals. The majority of us did not speak much Spanish at all, but the locals were extremely accommodating and were almost eager to show us the different parts of their culture. The lecturers and performers, similarly, repeatedly told us to show other Americans how rich and friendly their culture was when we got back to the States. This demonstrates to me that they are really trying to break that misconception of Cuba to the US, presumably so that there are better relations between the States and Cuba. The lectures by performers also demonstrated a sense of solidarity between feminists and those affected by feminism that crossed cultural lines. When speaking with members of a rap group, La Fina, we all were able to relate to their message and their social activism because they are fighting for the same causes as many feminists are in the States. The fact that they are speaking about the same topics many WGSS classes at Ohio State speak about really helped bridge the gap for me. Prior to that visit, the trip very much felt like we were outsiders looking in on their “exotic” culture when we really are very similar people with similar goals in life (gain basic human rights and further ourselves in our futures). While finding the similarities in our different cultures was extremely interesting, I also found it transforming to see the cultural focus on religion amongst the Afro-Cuban people as a contrast to our culture. In the States, we like to think of religion as an afterthought and prioritize patriotism, but in Cuba it almost seemed as though both were equally important. Many Afro-Cubans practiced Santeria—somewhat of a combination between Christianity and a myriad of African religions—and much of our trip focused on different lecturers that were knowledgeable on the subject and visiting museums about their Orishas. Seeing how their sense of community was formed around their religion really made me appreciate the idea of religious influence on a country’s culture. 4. I believe that the only way to really appreciate the world is to travel and experience different cultures. 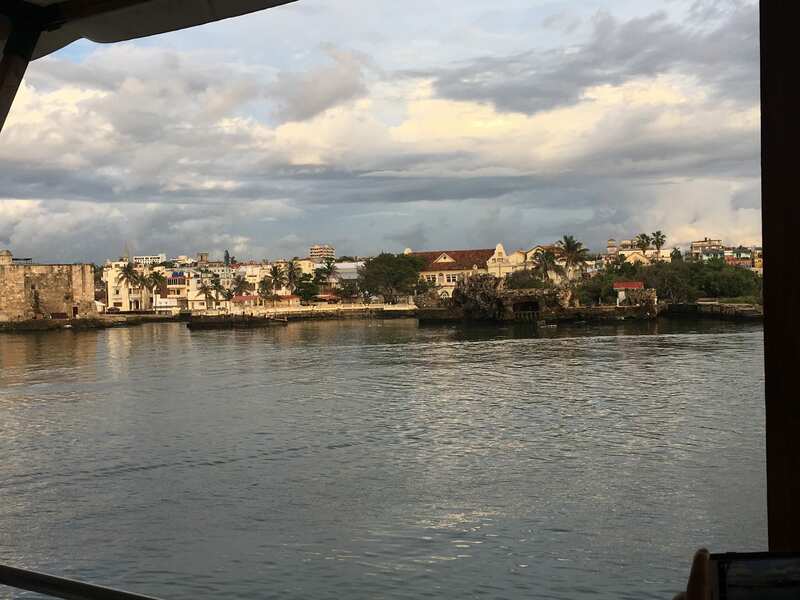 I have traveled to quite a few countries throughout my life for the basic tourist experience, but this trip focused on the core of the Afro-Cuban culture, its history, and its influence on every day society. This kind of exposure has lead me to crave that kind of knowledge about other countries, whether or not I have visited them prior. This trip has also lead me to question the American education system more and more; while some censorship is to be expected, I believe that children and the American people deserve more truth than not. This trip fulfilled an academic requirement for me, but I really believe it has helped me understand my drive for more peaceful international relations even more.